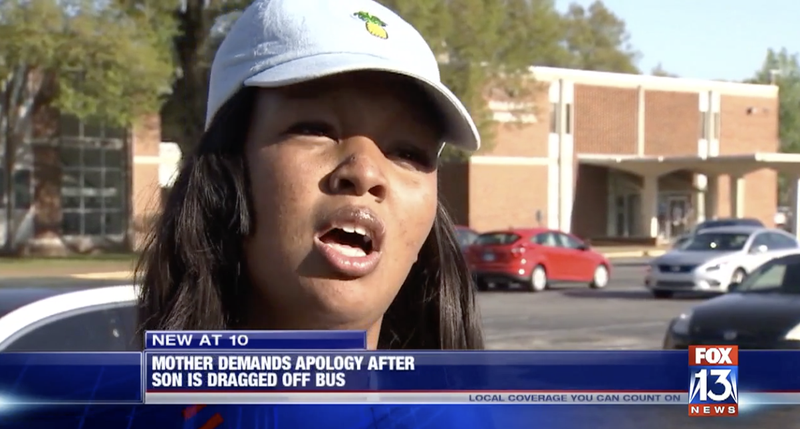 A Memphis, Tenn., mom is demanding answers after horrifying video shows her 7-year-old son being dragged off a school bus by his feet ... by a teacher who should know way better. In fact, Kimberly Hardin, the child’s mother, didn’t know what her son had gone through at the hands of the educator until another parent sent her the video footage. In the video, the teacher, who is white, can be seen grabbing the little boy by his feet and dragging him upside down off the bus. Hardin said that the mistreatment of her son left him with injuries. “He had a concussion and his back was bruised,” she said. Shelby County Schools told the news station that the teacher was breaking up a fight just before the camera started recording. However, Hardin says that her son was not part of that fight, emphasizing that the school district didn’t tell her anything about the incident until days after. Now her son does not want to return to school. The school district is investigating the matter, and the teacher shown in the video, who was not identified, is currently not on the job, pending the outcome of that investigation. An employee from Robert R. Church Elementary is being investigated based on reports of forcibly removing a student from a bus while breaking up a fight last week. We take any report involving student safety very seriously, and immediately reported this situation to the appropriate authorities. Per standard District procedure, this employee has been removed from the school while the matter is being investigated.